Charlotte Barefoot was born and spent early years in Texas but grew up in Hawaii. She has lived in Kailua on the Gathering Place of Oahu, on a successful macadamia nut farm in Kona on the Big Island of Hawaii, in Kihei on the Valley Isle of Maui and Lihue on the Garden Isle of Kauai. Each of the islands has blessed her, taught her, influenced her and given her a unique and broad perspective of the State of Hawaii. Charlotte obtained her license the first time at the age 19. 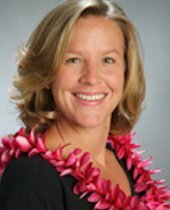 She served as her Mother‘s protégé for a highly successful Brokerage in Kona; while attending the University of Hawaii at Hilo. Charlotte took a departure from real estate to pursue career in the Hospitality Industry. She returned to Hawaii and was licensed again on the Garden Isle of Kauai in 2000, obtained her Brokers License in 2005 and worked for the same Brokerage until she proudly joined Reside Kauai in 2015. Charlotte was honored as “Associate of the Year 2004” by her colleagues from the Kauai Board of Realtors. She served as the Boards Public Relations Chairman from 2003-2005 and again in 2009. Charlotte now serves as Reside Kauai’s Broker-in- Charge and Transaction Coordinator. Charlotte’s great loves are her husband Jordan and the time they spend together being cared by their horses through beautiful lands and a blessed life. “Charlotte Barefoot exemplifies excellence and customer service. We have purchased and sold several properties over the years and Charlotte is truly one of the best Agents we have ever worked with. She goes above and beyond in service and caring. We most definitely recommend her and will use her again.